"West Ham's last two home games have seen them hold Chelsea and beat Manchester United, and they have only lost two of their last six meetings with Spurs." West Ham boss Manuel Pellegrini is a civil engineering graduate, so he understands that any big construction project takes time, and there will always be setbacks. That's why the Chilean didn't panic when the Hammers started the Premier League season with four defeats, and why he won't have been overly disturbed by the 1-0 defeat at Brighton which preceded the international break. West Ham actually played pretty well at the Amex, making several good chances in the second half. In the last few matches, there has been a big improvement in terms of performance - Chelsea were held to a 0-0 draw, Manchester United were soundly beaten 3-1, and Everton were overcome 3-1 at Goodison Park. I've never quite been able to get to the bottom of why many West Ham fans despise Tottenham above most if not all other London rivals, but there's no doubt that febrile atmosphere causes the Hammers to raise their game against the men from White Hart Lane. Opta tell us that West Ham have beaten Spurs 14 times in the Premier League era - they haven't managed more PL victories against any other opponents. Although they lost this fixture 3-2 last season, they haven't suffered back-to-back home losses against Tottenham since 2009. Carlos Sanchez, Jack Wilshere, Manuel Lanzini and Winston Reid are all out long-term. Javier Hernandez is expected to return after a virus, while Robert Snodgrass is also now fit despite pulling out of the Scotland squad. Pellegrini insists that Marko Arnautovic's persistent knee injury isn't a major concern. If you have ambitions to be a club that dines at European football's top table, you have to face the kind of dilemma that is currently occupying the mind of Spurs boss Mauricio Pochettino. Tottenham have an enormously important Champions League trip to PSV Eindhoven on Wednesday, a game they simply cannot afford to lose, and yet they know failure to beat West Ham this weekend could see them lose ground in the title race. In their last three league games, Spurs have overcome Brighton, Huddersfield and Cardiff. None of those performances particularly caught the eye, but there's something to be said for finding that level of consistency when you aren't firing on all cylinders. There's a lot for Spurs fans to be pleased about, and the Opta stats paint a pretty picture. Tottenham have won eight of their last 11 away games in the league, including four of the last five. They have also won their last four London derbies in the top flight - they haven't won five in a row since 1961. The elephant in the room with the Spurs top on is the injury situation, and what that might do to a squad that wasn't strengthened in the summer. Jan Vertonghen is out until December, and a thigh injury is still keeping Dele Alli on the sidelines. Mousa Dembele and Victor Wanyama are both fighting to be fit and Danny Rose faces a late fitness test on a groin problem. Despite their impressive away form, I think Spurs are under-priced here at [1.95]. They have been sneaking past limited opponents whilst in second or third gear, and you could argue that they haven't produced an exceptional display since they won 3-0 at Manchester United in late August. West Ham nearly beat Chelsea last month (Andriy Yarmolenko, I'm looking at you), and in their last home game they played Manchester United off the park. They have only lost two of their last six meetings with Spurs in league and cup, and I'll back them to pick up a result here. I'm laying the visitors at [1.95]. Over 2.5 Goals is trading at [1.72] here, and you can see why. An overs bet has landed in five of the clubs' last eight meetings in league and cup, as well as in nine of Spurs' 11 competitive outings this term. Arnautovic to enjoy home comforts again? With goals likely, it's worth looking at the players who are most likely to score them. Marko Arnautovic has scored four goals in seven league appearances this term, and is priced at 17/10 to score in 90 minutes on the Sportsbook. 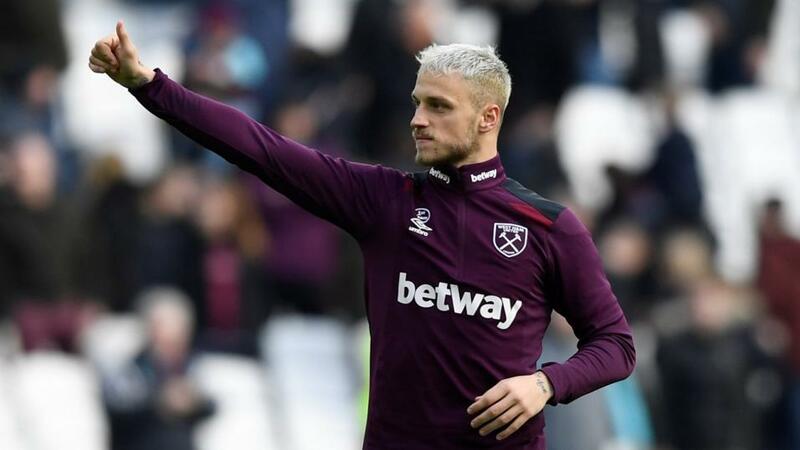 The Austrian is particularly dangerous at the London Stadium - Opta tell us no-one has scored more than his tally of eight Premier League goals at the Hammers' new base. Harry Kane, fresh from a truly outstanding display for England in Spain in midweek, is 8/13 to score. He has netted seven goals in his last seven league meetings with West Ham. If you're looking to build an acca with the Same Game Multi function on the Sportsbook, you could perhaps back a draw, Over 3.5 Goals and Marko Arnautovic to score at combined odds of 17.78.